Nebraska football fans have long memories, long enough to remember the recruiting hype for the freshmen who redshirted last year and have extended their careers in Lincoln as a result. Of course, there is no real data available to make any kind of informed analysis of where the redshirt freshmen stand. Having said that, we do have recruiting rankings available, to give at least some idea of a player’s potential. We can also look at the opportunities available to the players, either from roster attrition, a new coaching staff, or both, and make some informed projections about how these players may fit in next season. All ratings from 247 Sports. Stoltenberg was a three-star recruit (.8296 composite) coming out of high school, and plays a position that should see a lot of competition prior to the 2015 season. With Randy Gregory declaring for the NFL draft, Greg McMullen looks to be the only sure-fire starter returning for Nebraska. Stoltenberg will be competing with Jack Gangwish, Joe Keels, and A.J. Natter, all who saw playing time last season. Let’s agree at the start that guessing what new head coach Mike Riley’s offense will look like in 2015 is a fool’s errand. Having said that, given Riley’s history and the fact that his new offensive coordinator is a quarterback coach, it’s a fair conclusion that Nebraska will lean more on the passing game than it did under Bo Pelini. And if we take past as prologue, we see that the tight end in Oregon State’s offense in the last three years has been either third or fourth in receptions. Compare that to Nebraska’s offense over the same time period, where the tight end has only been fourth one year (Kyler Reed in 2012) and sixth every other year. In 2015, Nebraska will have a dangerous receiving threat at tight end returning in Cethan Carter. But Akinmoladun looks to be cut from the same mold as Carter, and should have a chance to shine. Bush might be the biggest wild card of all Nebraska’s redshirt freshman. As discussed earlier, we don’t know what Nebraska’s offense is going to look like next year, so it’s hard to guess what skill set the next NU quarterback will need. Tommy Armstrong has off-the-chart intangibles and nearly two years of starting experience under his belt. Johnny Stanton was recruited by Riley at Oregon State, so there’s no question Riley likes what Stanton has to offer. And yet Bush’s name keeps coming up, even over Nebraska’s other redshirt freshman quarterback Zack Darlington. During preparation for this year’s Holiday Bowl, interim head coach Barney Cotton called Bush “an intriguing guy” (according to Steven M. Sipple of the Lincoln Journal-Star). With a new coaching staff coming in, all the quarterbacks will be starting with a clean slate. That may give this “intriguing guy” a chance to make an impression and work his way up the depth chart next season. 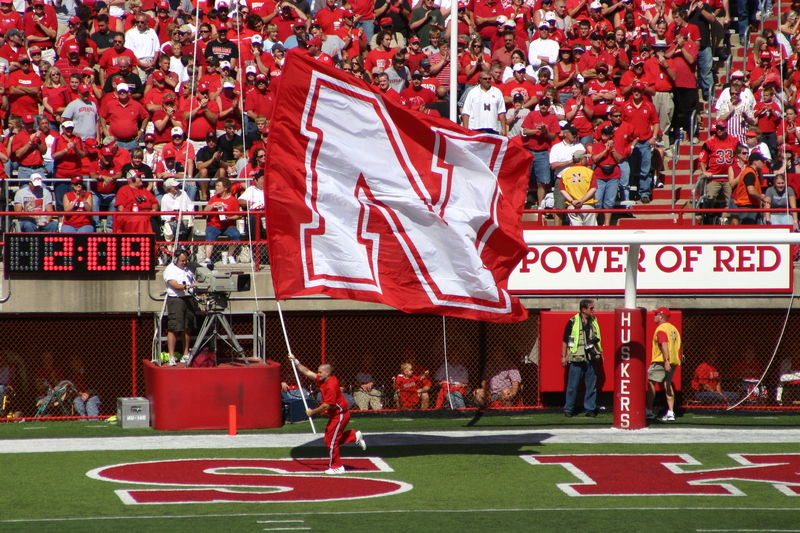 The graduation of Ameer Abdullah leaves a huge hole at Nebraska’s I-back position. Returners Imani Cross and Terrell Newby certainly have the advantage of game experience. But that experience has also shown some of the weaknesses in both of their games. Adam Taylor, if he is able to bounce back from an injury that cost him the 2014 season, looks to provide a middle-ground in skill sets between a bruiser like Cross and a scatback like Newby. A three-star prospect (.8822 composite), Wilbon will have the chance to impress the new coaching staff and make an immediate impact in 2015. In some ways, picking the redshirt offensive lineman for this list was a challenge, as Nick Gates and Jerald Foster will be in the mix as well. But Farmer’s recruiting pedigree (four-star, .9021 composite) along with his size (six-foot-four, 310 pounds) give him the slight nod in this contest. Farmer’s familiarity at guard should help, as Nebraska is returning both starting tackles for 2014. But the depth of talent and competition for playing time should be a good problem for new Nebraska offensive line coach Mike Cavanaugh.